Explore, Learn and Have Fun! 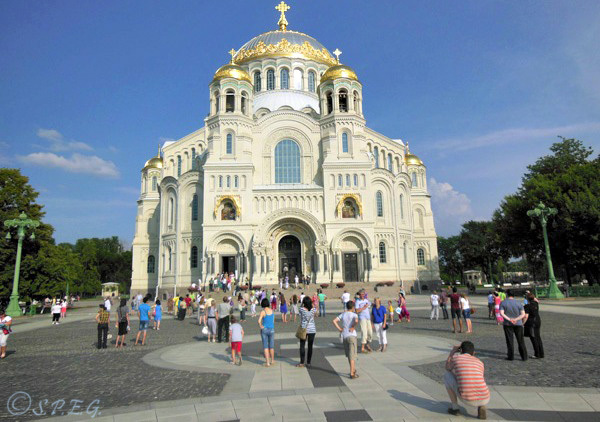 St. Petersburg Russia offers an impressive range of interesting and fun tours. You can tour the city from the comfort of an air-conditioned van, admire the stunning royal palaces from a boat cruise on the Neva River, stroll or bike around the central part of the city and absorb the rich cultural and architectural heritage. If you have money to splurge, you can even enjoy the city from the sky. Several St Petersburg Russia Tours. No matter your budget, language, age or orientation, in the city of Peter the Great there is a tour to suit everyone all year round. A city tour may take one day, two days or three days and it can be as adventurous or cultural as you like. It all depends on how much you can spend, what you want to see, and when/how you come. However, if you travel on a budget or just don't want to hire a tour guide, you can also explore the city alone; just do your homework first, get a city map and download a good guidebook or an audio guide, but keep in mind that touring the city individually has its pros and cons. Nowadays it is not that hard to get around the city of St Petersburg. The subways are wonderfully marked in English, the streets in the central part of the city are accessible and safe, and many of the best St Petersburg attractions are located in the city center, including museums, cafes and restaurants. However, when you're seeing sights on your own, you don't have the chance to feel and fully understand our fascinating Russian city. Without the help of a local tour guide you won't see and learn much. Also, you may spend a long time in queues or might not be able to access important historical sights that would be a pity to miss. In conclusion, hiring a local guide even just for one day, is money well spent as it will add enormous value to your visit, maximize your time and unveil the hidden secrets of Saint Petersburg , especially if you have a very limited time or it is your first time to the city. HOW ARE YOU GOING TO SEE THE IMPERIAL CITY? There are many ways to explore the magnificent architecture, charm and history of Russia's Northern Capital. 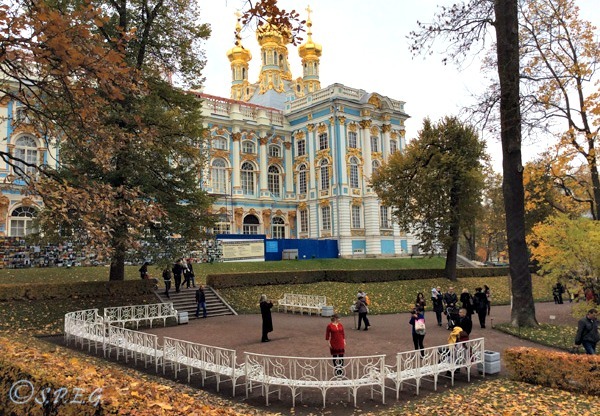 Take a look at our complete list of different St Petersburg Russia Tours below. And, if you don't find yet what you're looking for or have questions about a specific tour, feel free to contact us. 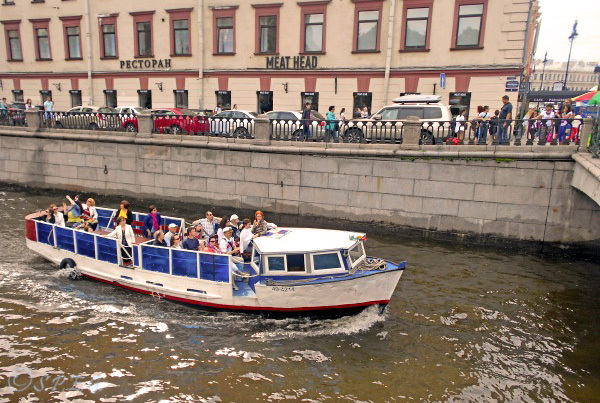 From classical city tours and cultural excursions to outstanding day or night river boat tours, choosing the perfect tour in St. Petersburg can be a difficult task, especially if it is your first visit to the city. To help you in your search check out our list of Best St Petersburg Russia tours, you may find something you like! 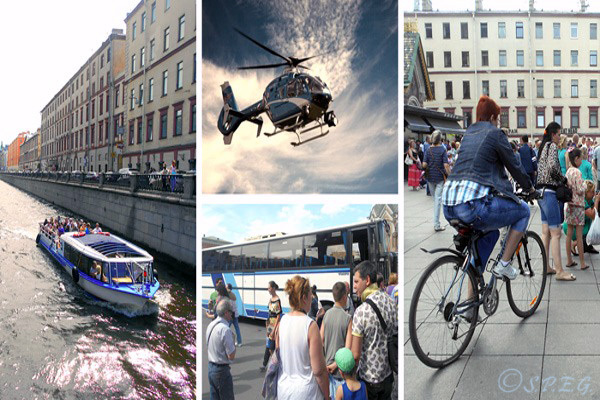 Discover the majesty of St Petersburg on foot or by boat, by bus, by bike or even by helicopter. Learn more about each of these tour options and choose which one suits your needs, budget and expectations best. Go for a private tour of the city with your loved ones and friends or just tour on your own and have fun! If you plan to travel to St Petersburg on a cruise ship or ferry, you won't have a lot of time to cover all of the key sights. But with an action-packed sightseeing tour you can get a great glimpse of the city in just one or two days, avoid the crowds, and enjoy the convenience of being picked up at the seaport. Tour the city privately, in comfort and visa free without breaking the bank with our private shore tours! If you're planning a trip to St Petersburg with your kids, you definitely need to find fun tours. 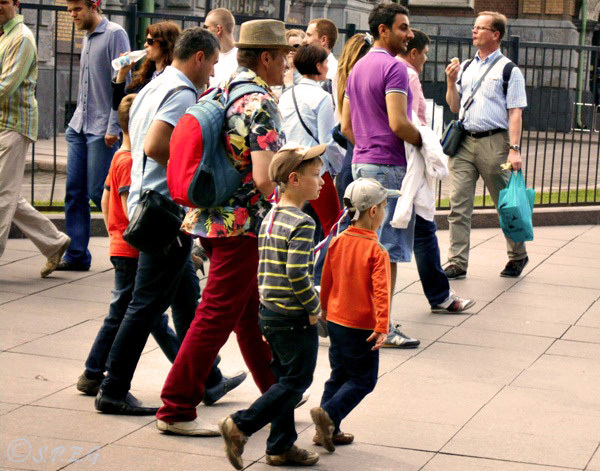 Our beautiful Russian city isn't just for adults, it is for everyone, including kids! 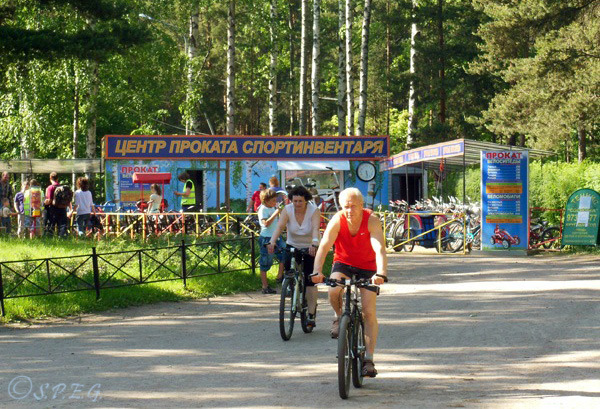 From the St. Petersburg Dolphinarium to the Leningrad Zoo, there are a lot of indoor and outdoor tours to do with kids. Check out our list of popular tours for kids chosen especially for families. If you're tired of the classical tours, no worries! Saint Petersburg also offers many alternative things to do. From a visit to the roofs of the old buildings or a trip to a Russian dacha to a bike tour in the park, or a walking tour to the old flea market, the list is endless. Take a look at our list of most popular alternative tours in St Petersburg, and experience the city differently. Venture outside St Petersburg and enjoy a unique showcase of the wealth and taste of the Emperors of Russia. Plan a day trip to the Imperial Summer Residences in the city's suburbs, or take yourself on an adventure to the beautiful Russian countryside. Experience the centuries old traditions and uncover historical sights away from the city with our top picks of tours listed here. HOW MUCH TO PAY FOR A TOUR? Wondering how much you should pay for a tour? Well, give you an exact quote now is very difficult because every tour is different, but we can tell you what you may be paying for! Generally speaking many of the St Petersburg Russia Tours are run by large or small tour companies, or even conducted by a single, but qualified individual who runs the business. This may influence the final price as well as the quality of the tour. But, the price given for a tour package mainly depends on what you see, the duration of the tour, how many people are joining the tour, and how you come (By ship, by plane, by train, or by bus). Meals, gratuities to the guide and driver, as well as any extras are not included in any tour package. 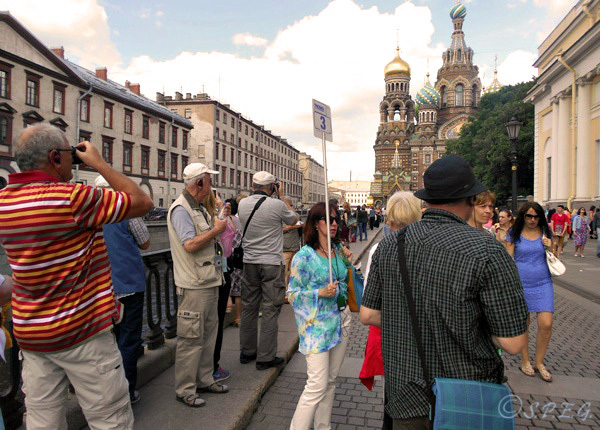 Please note that a day tour is made of 8 hours in all the St Petersburg Russia Tours. Also, if you book a tour within a ship or ferry cruise company the prices tend to be higher than what you see here! We recommend Saturday or Sunday morning and evening for going on a bike tour, when the streets are less crowded. Walking and bike tours are the most affordable but not the best way to see the city. Also, a van is very recommended as walking from one place to another take a lot of time. Always book the tour in advance so that you are sure to get the best price and the best guide available. If you would like to explore the city on your own, all the major hotels let you book English-language tours of sights like the tour to the Hermitage at your convenience, though they all have their price. Keep in mind that if you book through any hotel or ship cruise company, your tour will ultimately be more expensive because hotels and ship cruises will increase prices so they can get a higher commission. We suggest that you decide what you really want to do before you arrive: how you would like to spend your time, where you would like to go and eat, and whether you want to do some shopping. If you want to save time and stress when touring on your own, take the Saint Petersburg metro. If you're looking for a tour company or a private guide on the web, for example on Trip Advisor or Cruise Critic and similar on-line platforms, be aware of the many proposals you may receive by private message. Most of the time the people contacting you are new and have little or no real experience, though they have dozens of referrals and rave reviews. The same works for the feedback left, some are genuine, but others are not. Remember that it is always good practice to call or email your private guide two or three days before your arrival for a confirmation of your tour booking. Also, during the planning be sure to provide the correct travel information to your organizer. No one wants a bad surprise! Before booking any of the St Petersburg Russia Tours available remember to ask if your tour guide is qualified to enter the sites. You should know that a tour guide must be licensed to work in the museums or any other cultural institution. Please note that not all the tour guides can arrange a visa free entry, but only those who are authorized by the Russian Federal Government. So be alert when choosing your tour company. The best time to go for a walking tour, boat tour, helicopter tour, bike tour, etc. is from May to October, when the city is warm, sunny and is not raining a lot. Summer is always the perfect time to visit the city, although Winter time is great if you want to do winter activities! Keep in mind that hiring a tour guide is the best way to save time, avoid obstacle, see and learn more, so enjoy the city.